Julián Alberto Jiménez Monsalve (Machete). 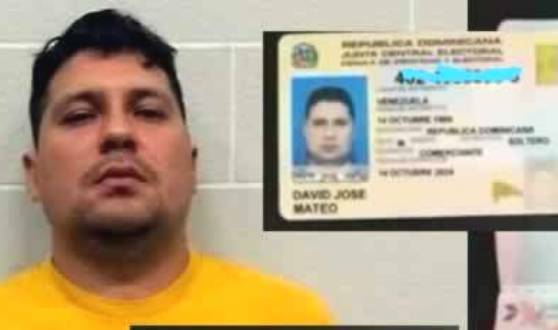 Santo Domingo.- The ID card (cedula) held by Colombian drug kingpin Julián Alberto Jiménez Monsalve (Machete) under the name of David José Mateo, was issued in the Civil Status Office of Santo Domingo Este. The Central Electoral Board (JCE) made the announcement after an investigation into how Machete obtained the document on the same day that it was requested, which violates the background search process to issue the ID. The JCE said Alba Elizabeth Vásquez Curiel, Zewxis Oxiades Ledesma Gonell and Yaniris Yohanni Pérez are responsible for the irregularity and will be charged. Machete was arrested in Punta Cana, where he lived posing as a Venezuelan cattle rancher and from where he ran the Robledo ring of hired killers.